A montage of pictographs make up this homage to the natural world. 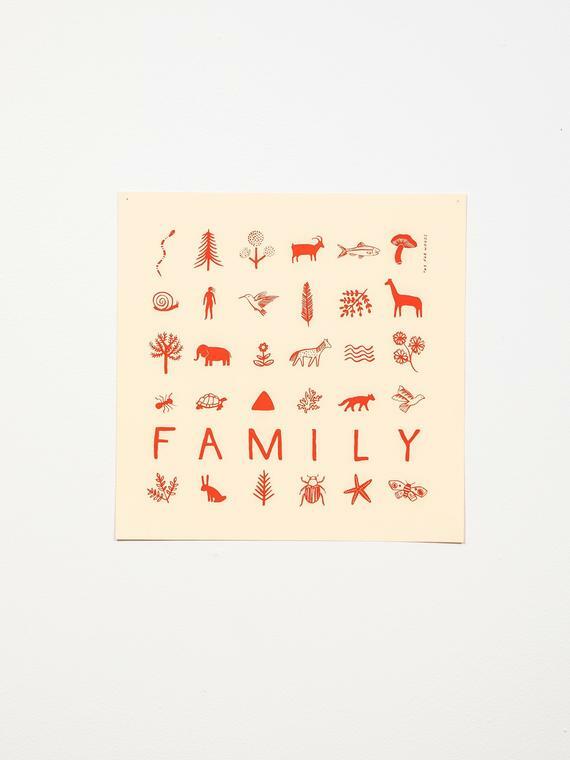 A human being is pictured alongside snails, trees, birds, snakes, mountains, ants, starfish, fungi- no bigger, no more important– but as a family. 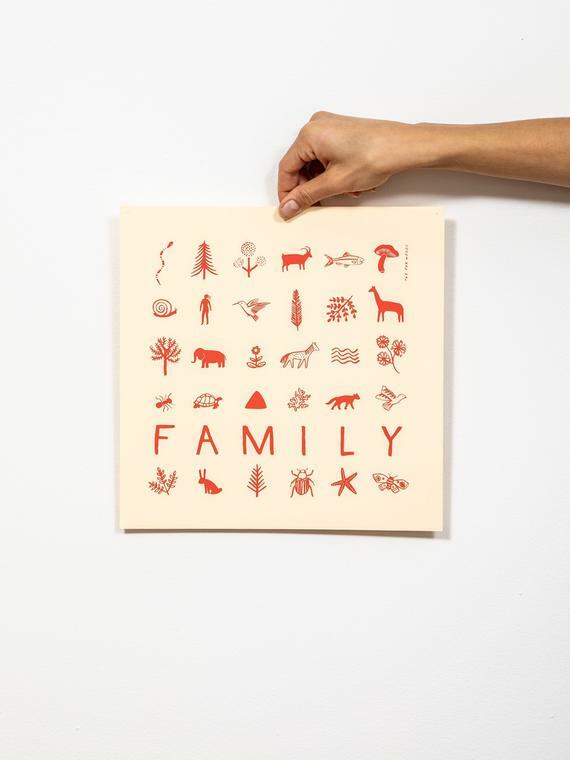 The natural world is our family: we are all related, and our destinies are intertwined. We belong together and to each other. Print would look excellent framed or unframed. Open Edition. Signed. One color screenprint in red ink on cream cover stock. Screenprinted in Tucson, AZ by The Gloo Factory.